Océanic last night, the Eagles trail the best of 7 series 3-1. 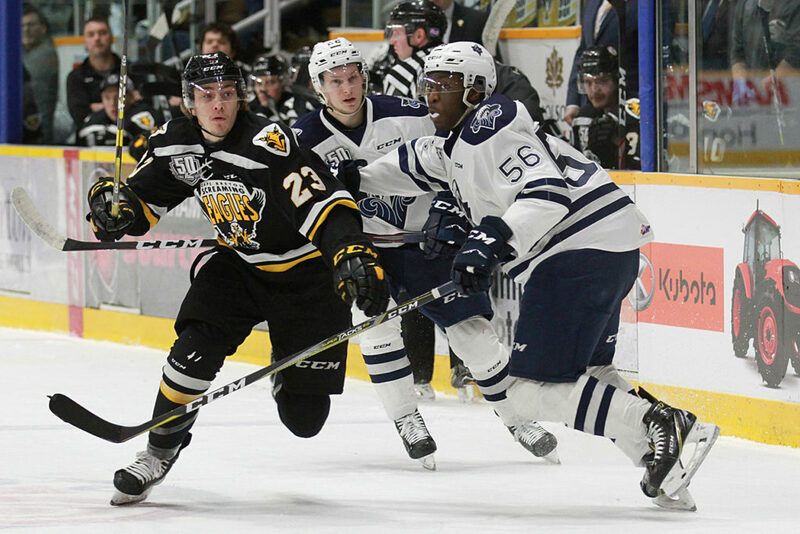 Regardless of the outcome of tonight’s game, it will be the final game of the series in Sydney as games 6 & 7, if necessary, would be played in Rimouski. It’s the first time this series the two teams will play on back to back nights. Last night Olivier Garneau was the story of the game. 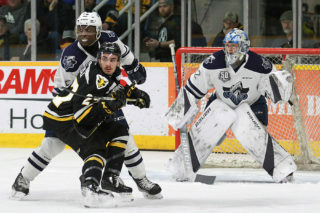 The overage forward, who was taken off of Rimouski’s top line in the opening games in Rimouski, scored the game’s opening goal and was then put back on the top line, from where he scored Rimouski’s second goal. The Océanic received production from throughout the lineup last night, as D’Artagnan Joly, Jeffrey Durocher, and Cédric Paré all scored their first goals of the series. In total seven different forwards have scored for Rimouski this series, while the Eagles have been held to five goals throughout the series. Shawn Boudrias is the only Eagle to have scored twice, and Kyle Havlena’s goal late in the third period for the Eagles was the first by a defensemen for either team this series. The Eagles will look to put more shots on Rimouski goaltender Colten Ellis. During the regular season Cape Breton outshot opposing teams in 51 of 68 games, only surpassed by Rouyn-Noranda and Drummondville. But this series Rimouski has fired more shots in all four games. 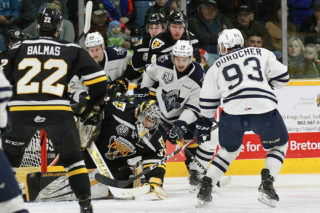 The Screaming Eagles can draw inspiration from round one, where they have overcome a two game deficit before- rallying from down 0-2 to win the series in six games against Charlottetown. There will be certainly for urgency from Screaming Eagles forward Mitchell Balmas and defenseman Wilson Forest. The junior careers of both 20 year old players are on the line tonight. The Eagles other 20 year old, captain Declan Smith, has missed the last two games with an upper body injury and isn’t expected to play tonight. This evening’s game goes at 7:05 PM. 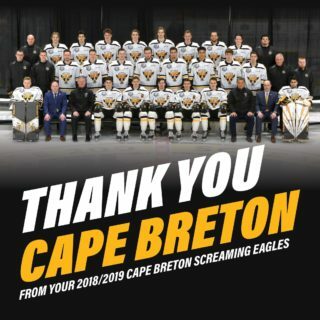 Tickets can be purchased at the Centre 200 box office, by phone at 902-564-2200 or online at https://tickets.capebreton.ca/Online/default.asp Go Eagles Go!